In this class students will create a scrappy design using a fleece fabric base. Students will trace their custom fitted jacket pattern onto a fleece fabric base. They will learn techniques for applying scraps as well as background quilting methods. This jacket style is attractive on all body types. Pre-requisite: the jacket fitting class is recommended. 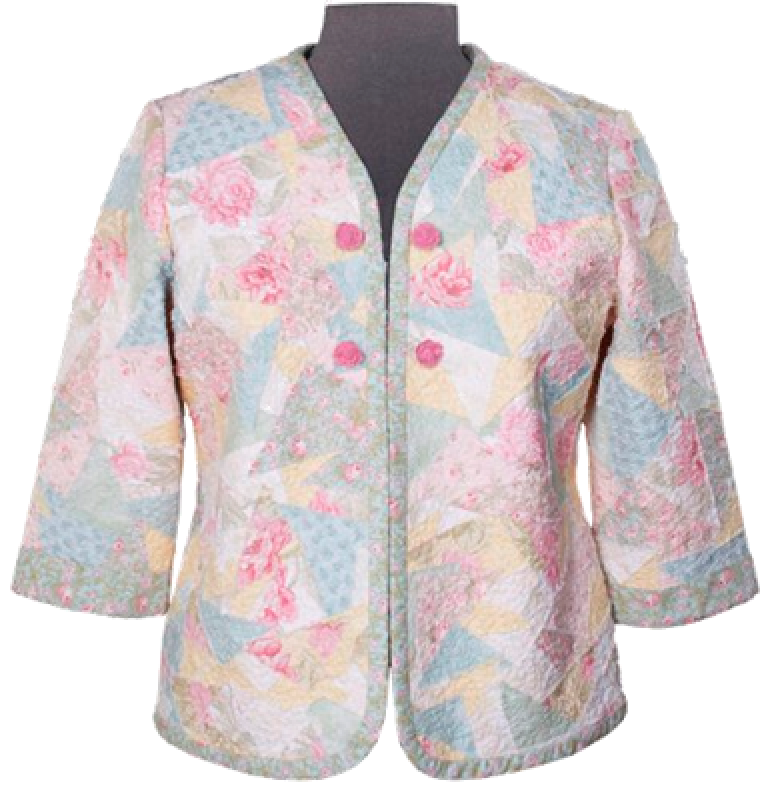 OR Student may use their own jacket pattern suitable for quiltwear. If uncertain of fit, do a muslin sample before class. Note: guilds may offer this as a combination class with a short version fitting class.